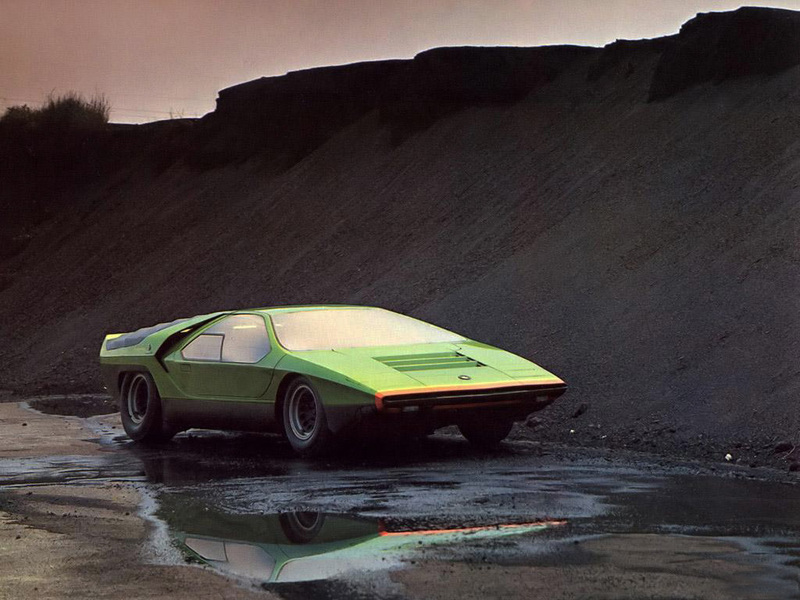 Mean Green Driving Machine: Marcello Gandini and Nuccio Bertone's 'Carabo' concept car for Alfa Romeo was a star at the Paris Auto Show in 1968. This sleek car was just 39 inches tall which, if I recall correctly, is the perfect height for aspiring limbo dancers. 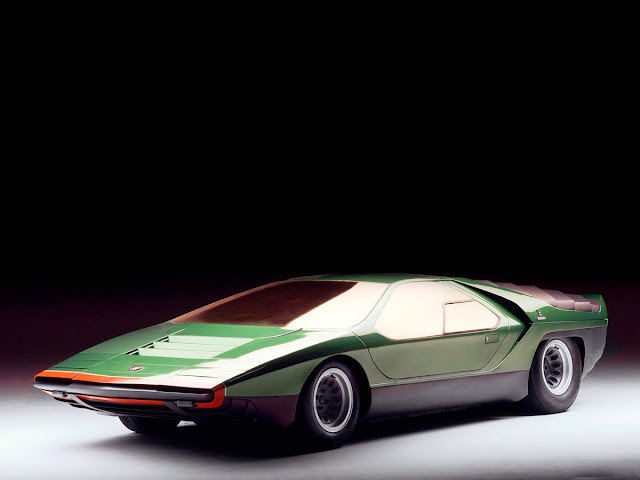 The name of the car was derived of the Carabidae ground beetle, as evoked by the car's iridescent green and orange coloring. 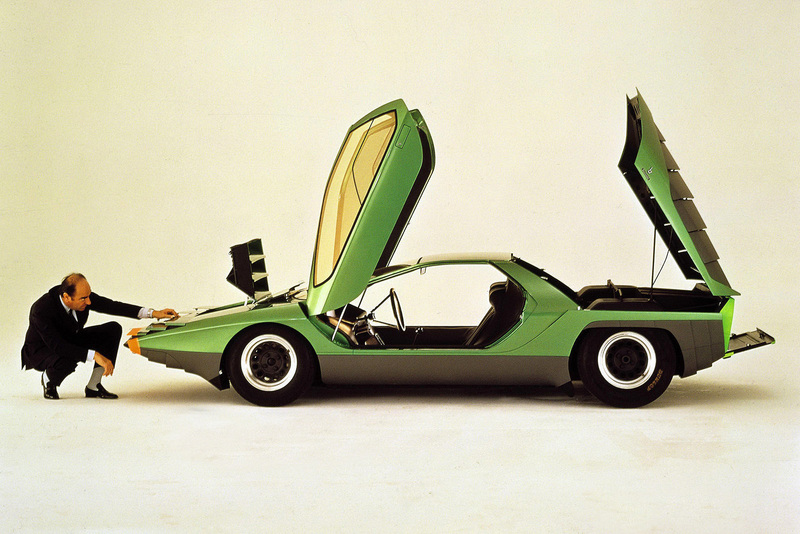 The scissor doors later inspired the Lamborghini Countach.